In 2005, A French customer from the Internet to find us,sent us the first drawing and requirements for ice bucket,he said that once he saw ours spinning craft process,and believe we should be able to complete this job quite well,the product requires very high polishing and internal do FDA -grade paint,but also outside should be customers' logo, can not have any flaws on the outside light . After two months of several tests we finally achieved very good results in the application of ice bucket,the customer is very satisfied.so we can extend spinning process to the ice bucket market . 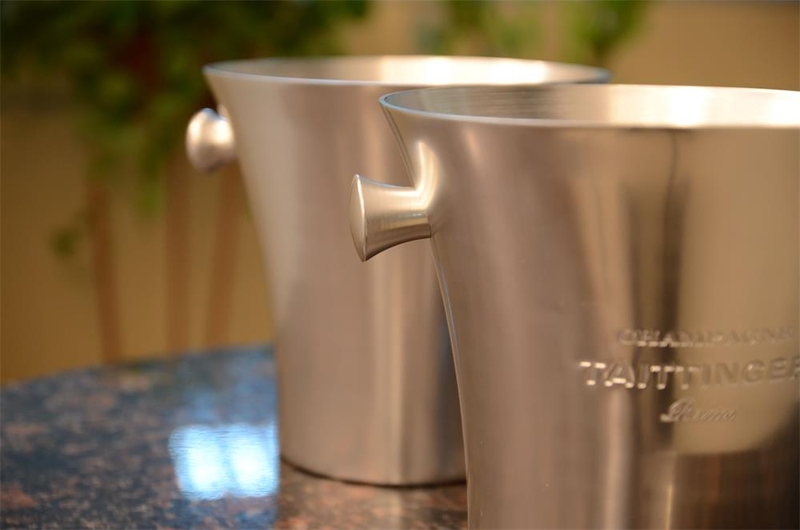 In later ten years ,we have used the SS304 /SS316 and other stainless steel material to make many different shapes of ice bucket.Due to confidentiality requirements we do not display. Today, many of our clients become high demand in China's most important supplier partners. Continuous development and innovation ,customers' rigorous give our team a lot of growing . Let us today have a very rich experience in manufacturing and management methods. Here I would like to deeply thank them.